Zensible Mama: Easy, No Fuss Gift Ideas for the Best Dad in Your Life on Father's Day! 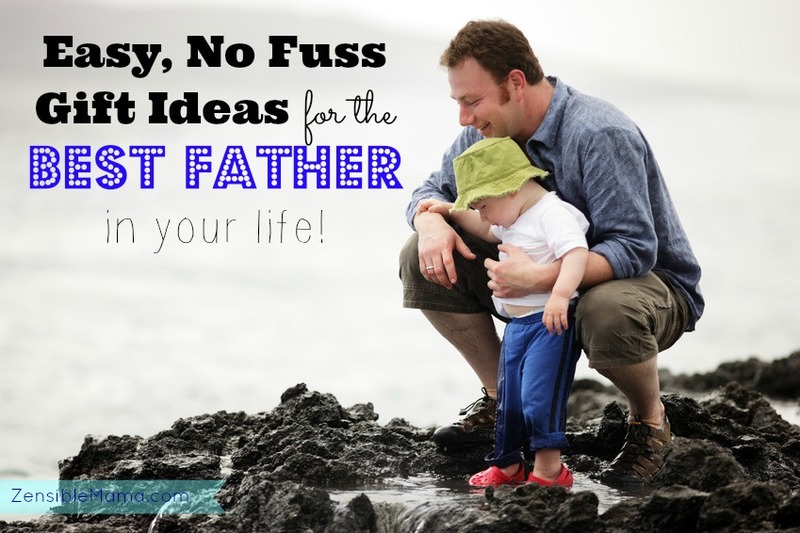 Easy, No Fuss Gift Ideas for the Best Dad in Your Life on Father's Day! Father's day is fast approaching! Are you prepared to shop for the most hard-to-shop-for-recipient in the world? In my book, men are the hardest to shop for and they are! You can't buy them make-ups or nail polish gift sets as a special gift, not even on a whim! But there are ways around this challenging task. And it can be so simple more than you think! And with minimum to NO shopping at all! Here are my Easy, No Fuss Gift Ideas that you probably didn't think was possible or even appropriate. 1. Flowers - Not the girly flowers silly! Rather give him the edible kind. Note the golden adage, "the quickest way to a man's heart is through his stomach," so gift him an edible bouquet or two, that will satisfy his tummy, not his eyes or nostrils. 2. Breakfast in bed - Let him have the pleasure of experiencing it for once. Even commercials don't afford men the pleasure of being served breakfast in bed. Let your man live it even once. 3. Day-Off - From you and the kids. It would be nice to get everyone off his hair for a day. Take the kids to a park and let him enjoy the solitude of peace and quiet at home by himself. Maybe he'll even enjoy some time sleeping in, in peace. 4. Spa treatment - If your husband is like mine, never have a good massage in a long time and riddled with stress, then sending your husband to a spa for a great all-over relaxing body massage will do him tons of good. Trust me, he needs it! 5. Wardrobe update - Men don't shop like we, women do. Most likely, your man's wardrobe have been outdated ages ago and is falling behind in the trend of today. Buy him a nice Polo shirt or even a classy Summer short he can wear on your upcoming vacation! I'm sure he'll appreciate a little style-makeover, as long as you don't make him look like Ken! 6. Send him off to a Mini-vacation - Book him for a long weekend stay at a Winery up the mountains or a 2-day Cooking class in the city. 7. DNO - If Mommy's do it to escape chaos and get a piece of sanity back for one night, Daddy's sure needs them too! Go ahead and reserve a seating for him and his dad, un-dad friends in a wine shop or favorite bar in town and have them paint the town red for one night! Make sure to appoint a designated driver. 8. Gift Card to his Favorite shop - The most flexible gift idea! You can opt for an e-gift card for him that loves to shop online! It makes it easier for you both too. No second-guessing what you'll give him since he can shop for the item he really likes! Works best if he loves to shop at Amazon too! 9. Feed his Geek side - Is he a Dr. Who fan, a comic hero super-fan or a Disney geek? Buying him the latest merchandise of his favorite character/s will surely give you 100% seal of approval. 10. Dinner Date - For a last resort idea, just take him to dinner sans children for some quiet and quality time together. Just make sure to plan for a babysitter ahead of time! Happy Father's day to all the YOU wonderful dads, dads-to-be in the world!